Stop packing regular old Athletic Tape in your first aid kit. Kinesio Tex Tape is FAR superior. According to John Vonhof in his excellent and highly recommended book, Fixing Your Feet, “Athletic white tape is not well suited for taping feet because of its lack of quality adhesive.” And if you’ve ever tried to use athletic tape on a sweaty foot during an adventure race, then you know it’s a lost cause. Well, that’s not true with Kinesio Tape, which was actually designed for muscle taping. A lot of physical therapists and athletic trainers use it. This tape has a paper backing, so it can be measured and pre-cut before applying to the skin. The paper backing also prevents the tape from sticking to itself or other items in your pack in hot weather. It comes in 2″, 3″, and 4″ widths (although I use the 2″ variety), it stretches, it’s porous and breathable, it’s really smooth, and it sticks to your skin better than anything I’ve used. The adhesive is heat-activated, so you should briskly rub the tape to generate some heat once it’s been applied. This will ensure that the tape stays in place much, much longer. If it’s the go-to tape for a guy that has kept feet healthy at some of world’s toughest races, then why in the world would you take some crappy, worthless athletic tape on your next race? 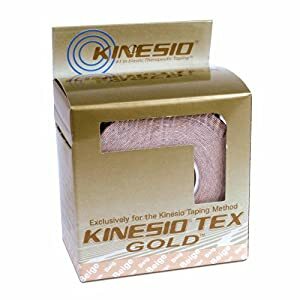 Seriously, get some Kenesio Tex Tape, and you won’t be sorry. For any outdoor pursuit, you’re better off carrying LAYERS instead of carrying one heavy jacket. That way you can add a layer when you’re too cold or shed a layer when you’re too warm, easily adjusting to the changing weather or your changing activity level. During an adventure race, though, you want to carry as little as possible while being prepared for anything and everything. That’s where the Patagonia Regulator (R) Series works better than anything I’ve tried before. The R-1 is comparable to a 100-weight fleece, but it’s much lighter and much more compressible. It has a “waffle-like” texture on the inside of the fabric that increases the insulation factor while minimizing bulk and weight. It’s breathable, stretchy, and it wicks moisture like a champ. It’s also durable. I’ve had my R-1 for over 11 years. I got it before my NOLS course back in 2000, and I literally wore it every single day while backpacking through the Rockies for 28 days straight. It’s been with me ever since, and it’s still going strong. It just might be my favorite piece of apparel for adventure racing. The R-2 is comparable to a 200-weight fleece, but it is also much lighter and more compressible. Instead of the “waffle” design, the R-2 is sort of furry. This “fur” is called “variegated-fiber” fabric. All I know is that it is wicked warm for it’s weight. It’s REALLY breathable, so if it’s windy, a light wind-shell would be a good idea, but for adventure racing, the breathability is a good thing. Plus, the R-2 just looks cool. I’ve had many people come up to me to ask what kind of jacket it was, and a few of the braver ones have actually rubbed my sleeve to feel the “fur” (there are so many jokes there, but I’ll let you come up with your own). Now, here comes the best part. While the R-1 and the R-2 are amazing pieces on their own, which is how I often use them, the real magic happens when you wear them together. The warmth-to-weight ratio of these two together just can’t be beat. If you look closely at the photo above, you’ll notice my blue R-1 under my green R-2. It’s a great combination. You’ll also notice that I’m really happy since I’m about to stuff my face, but that’s beside the point. Patagonia offers an R-3 and even an R-4, but I haven’t tried those out. Honestly, I don’t think you’d ever need anything more than an R-1 and an R-2 for 90% or more of adventure races. The only drawback to these layers is the price. They aren’t cheap, but I truly believe they are worth every penny. Check out the Patagonia R1 Jackets and the Patagonia R2 Jackets. Expensive? Yes. Worth it? Absolutely. I don’t think I’ve ever done an adventure race where a map case was NOT on the mandatory gear list. I’ve used the Large SealLine Map Case for years, and it’s never let me down. It has kept my maps dry and visible in some nasty weather. I’ll even throw my camera in there when the rain comes down unexpectedly. The Large Map Case is big enough for most maps if you fold them appropriately, but it’s small enough that it doesn’t become cumbersome. I just throw a couple of small carabiners on the D-rings and tie some reflective cord (which makes it MUCH easier to find at a TA in the dark) to them, and then I throw the map case around my neck. There really isn’t anything else I can say. For 20 bucks, this map case is fantastic. In fact, for longer races with lots of maps, it’s nice to have two map cases (like in the photo above). So protect your maps (and camera!) at your next adventure race by picking up a map case right here. If you don’t take care of your feet, your race is NOT going to go well. Most shoes (yes, even expensive trail shoes) have pretty crappy insoles in them. They break down quickly, they offer very little support, and they take forever to dry out. But who really wants to shell out tons of cash for custom-made orthotics? Not me. Sole Softec Ultra Insoles are the in-between that you’ve been looking for. You pop these guys in the oven for a little while, and then you stand on them to mold them to your feet. It’s super-easy, and it’s effective. For about 40 bucks or less, you can have “custom” insoles. I’ve had mine for almost 2 years now, and they’re still in great shape. In fact, I’ve trashed two pairs of trail shoes since I’ve had these, but I just keep moving these over to my next pair of shoes. At first, I thought they were not soft enough, but after using them, I love them. They provide the perfect amount of support, comfort, and cushion for long days on the trail. If you have foot problems (I’m looking at you Bob Jenkins! ), then you should try these out. Do your feet a favor and pick up a new pair of insoles. GPS devices are not allowed during an adventure race for obvious reasons… IF they have the ability to show you where to go or where you’ve been. Basically, if your GPS device has a screen then it probably isn’t allowed. But wouldn’t it be nice to be able to see exactly where you traveled during your race? Maybe you had trouble finding a certain CP. Or maybe you made a wrong turn on the bike leg of your last adventure race. Or maybe you gambled and decided to bushwhack when others took the trail. Wouldn’t it be nice to have the ability to upload all of that onto your computer? Well, it’s possible with the i-gotU GPS Travel Logger. Just strap this little gadget to your shoulder strap, turn it on, and you’re good to go. You can even drop a waypoint by pressing the button. This is a nice feature for marking the CP’s on the course or for marking the location of a cool photo that you may have taken. 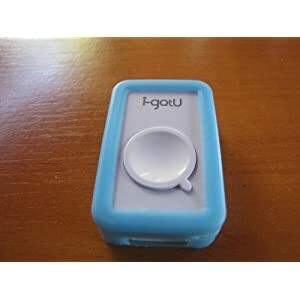 Scott, from Team Bushwhacker, is the one that actually turned us on to the i-gotU GPS device. Big thanks to him. We’ve only scratched the surface of what we’ll be able to do with this thing. We’re planning some navigation practice sessions using this to see how well we did. And we’ll use it to see how closely we followed our planned route at any future adventure races. In short, this thing is going to make us better racers. And it will be a lot of fun as well. Pick up this handy orienteering GPS tracker to see where you traveled the next time you race. We’ve come to the end of Part 3 of our ABC’s of Adventure Racing Gear Reviews ad Recommendations. Be sure to check back in with us for Parts 4 and 5 in the near future. And be sure to let us know what you think about all of this in the comments below. Until next time, Peace OUT! Burton SchwabDidn't check the email me notifications for replies box, thx. LoAwesome, I'm looking forward to a good SHART! JimMeh, meh, meh, and meh. 1 for each of you. 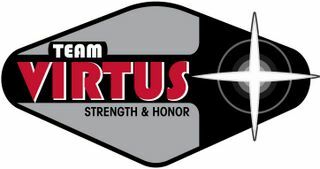 Don't miss any of the Team Virtus shenanigans and goings-on by following us.